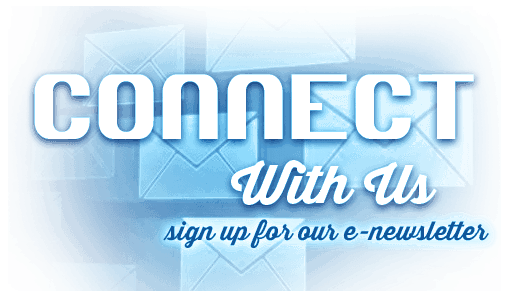 Connect with fun in the Farm & Family Building! All activities are free thanks to the amazing staff at DATCP. Located in Ag Village on Sue Wetley Court, across from the Compeer Financial Discovery Barnyard. Open daily from 9 am – 9 pm. Race a potato Porsche or a carrot Camaro in the Veggie 500, a State Fair staple since 1993. 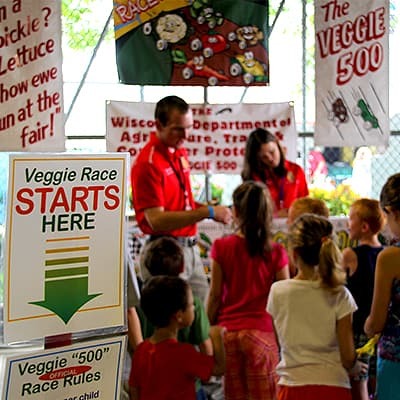 With six races every hour, there is lots of opportunity for your choice in veggie-mobile to lead the way down the 16-foot race track. All participants will receive a special prize and lots of new knowledge about vegetables. 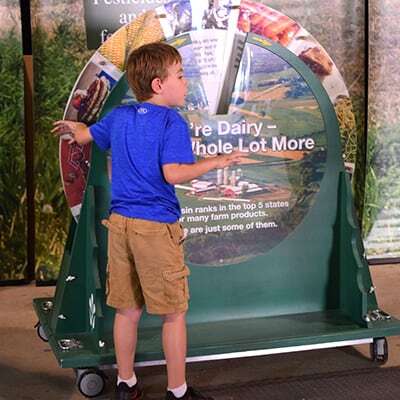 Play Plinko, spin a big wheel or toss some bean bags to learn more about Wisconsin products and safe food for people and animals. Get tips on protecting yourself against common consumer scams. 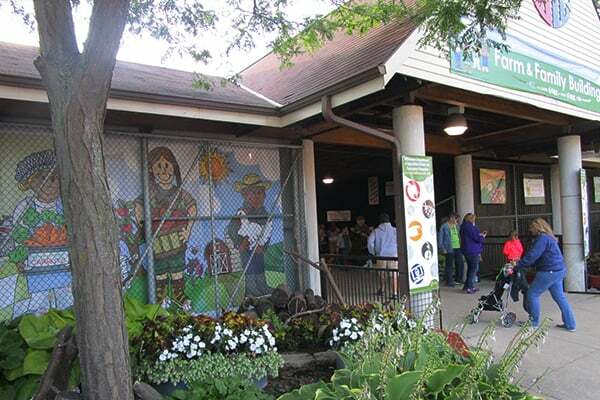 From 10 am – 4 pm, participate in the scavenger hunt with DATCP staff throughout the stations in the Farm & Family Building. Get a special stamp on your scavenger hunt card at each game station. When you’ve filled your card, trade it for a button to color and take home. Get to meet Alice in Dairyland, Wisconsin’s agriculture ambassador! Ask her about the importance of our state’s diverse agriculture industry in our daily lives.